Great location, very helpful staff (Gregory was super hospitable) and very good value for money! The apartment was spacious and clean, like on the pictures. The owner was very helpful and kind. Location is perfect. 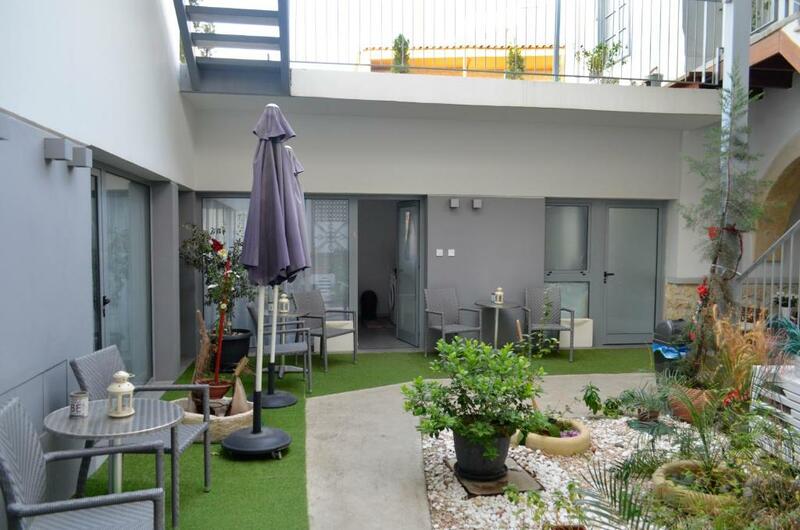 Great location, just behind St Lazaros Church... Great Host.... Nice Rooms.. Neat Clean... Functional... Practical.. The location was great, 5 minutes away from the beach and from all the restaurants and bars. The place looked really nice and the room was very comfortable. Excellent location, close to a mini-market, bakery, the church, small cafes, souvenir shops. Everything you need. 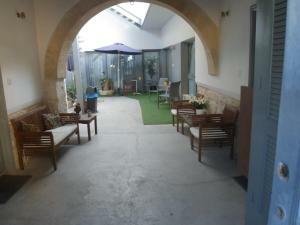 Close to beach and Finikoudes promenade but in a very calm neighborhood. Good location in walking distance to everything in town. Bus from the airport stops one street away which is very convenient if you don’t have a rental car. Gregory the owner was very friendly and helpful like most people i met on the island. Lock in a great price for St. Lazaros Studios – rated 9.3 by recent guests! 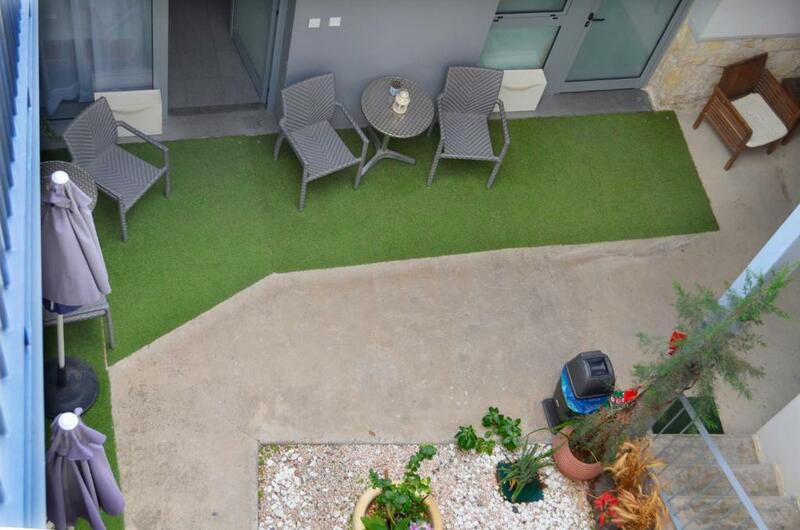 Centrally located in Larnaca Town, St. Lazaros Studios offers self-catering accommodations opening to a patio. 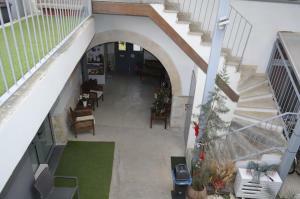 It is within walking distance from Finikoudes Beach, restaurants and bars. Free Wi-Fi is provided in all areas. All units at St. Lazaros are tastefully decorated and some have beamed ceiling. Each features a seating area with TV and a well-equipped kitchenette with fridge, toaster and cooking hobs. A washing machine and ironing facilities are also provided. The property is just behind Saint Lazarus Church. Larnaca International Airport lies within a 10-minute drive. Shops and mini markets are at a short walking distance. Public parking is provided nearby at extra charge. 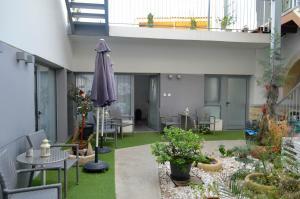 뀐 Located in the real heart of Larnaca, this property has an excellent location score of 9.7! When would you like to stay at St. Lazaros Studios? 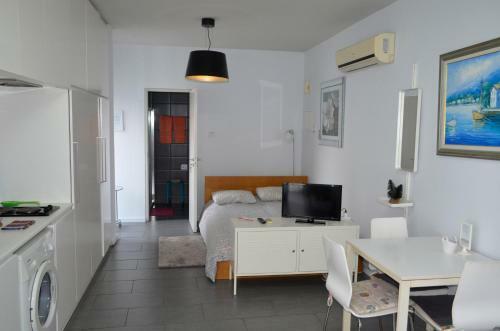 Offering more space, this simply decorated studio features a seating area with TV and a well-equipped kitchenette with fridge, microwave, toaster and cooking hobs. A washing machine and ironing facilities are also provided. Free Wi-Fi is available. Please note that towels and sheets are included. Offering an open-plan bedroom and seating area, this apartment is fitted with beamed ceiling and stone details. It features a TV and a well-equipped kitchenette with fridge, toaster and cooking hobs. A washing machine and ironing facilities are also provided. Free WiFi is available. Please note that the 3rd guest will be accommodated in a camp bed. 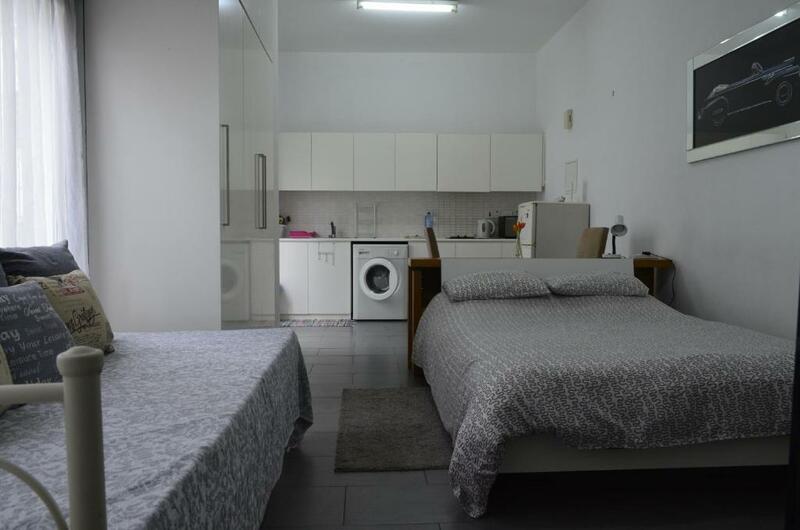 St. Lazaros Studios are 6 Studios and 1 One-Bedroom Apartment, located in the historical Larnaca city centre. St. Lazaros building builted in 1911 and recently renovated. Due to its outstanding architecture value is listed, which is wisely turned into a 6 studio complex. 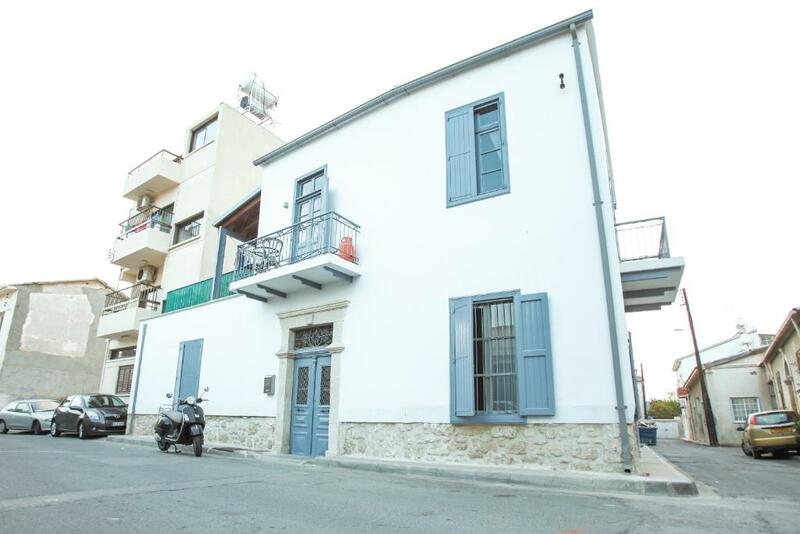 St. Lazaros Studios is a family business, run by Souroullas Family. 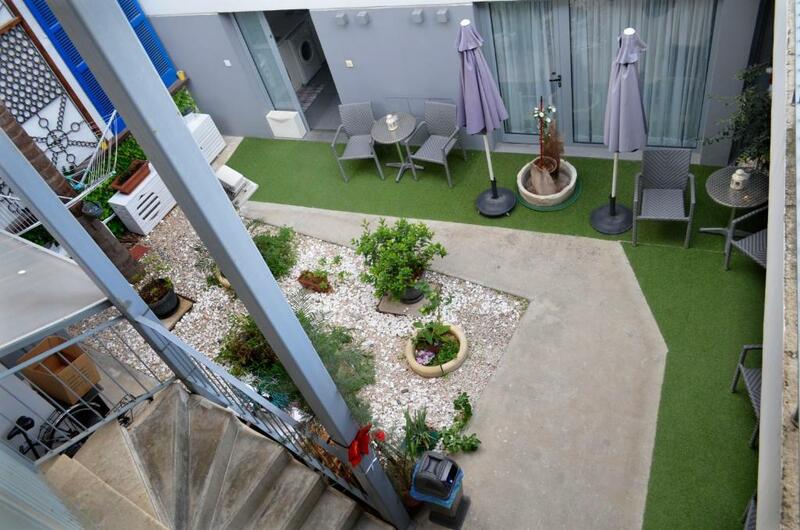 Our aim is to make our guests feel like home during their stay in our premises. Guests can find several shops, restaurants and bars within walking distance from St. Lazaros Studios. St. Lazaros Church is only 50 meters away from our premises, as well as the famous Finikoudes Beach is only few minutes walk by St. Lazaros Studios. House Rules St. Lazaros Studios takes special requests – add in the next step! St. Lazaros Studios accepts these cards and reserves the right to temporarily hold an amount prior to arrival. Please note that electricity consumption over 50 KW per week will be paid by the guest. Kindly note that St.Lazaros Studios has no reception. Please contact the property in advance for further details regarding check-in. Please inform St. Lazaros Studios of your expected arrival time in advance. You can use the Special Requests box when booking, or contact the property directly using the contact details in your confirmation. Very good location, the room was clean, tidy and well described. Value for money accommodation! Very clean, calm place with free trolley for shopping. Cooker, washing mashine, good wifi, Very good location-close to st.lazaros church, few minutes to the beach by foot. Late check-out when needed. Thanks! One day smelled badly, maybe because of heavy rain all day. Fantastic location, cozy place with indoor courtyard. Some corners needed a bit more cleaning and the internet speed was not the best, but probably sufficient for most people. The place is near the center, maybe harder to find at the beginning. We had an apartment on the ground floor, which was composed out of a small kitchen, bathroom and bedroom with 1 double bed and 1 extendable couch. The supplies were plenty, there was enough space and the facilities were excellent. Host was very friendly and was there to give us the key and present the apartment. Ideal place to stay even for longer periods of time. Everything.location.host.cleaning.a lot of cute bars,restaurants,supermarkets around.near bakery, few steps to st.lazaros church. Room door stocked and so noisy during using. Tricky stairs. Bathroom door also noisy. Huge mirror in bathroom. Cool shower area. Big comfy bed. Calm and nice place. View to St. Lazarous Church bells. I liked this apartment for its perfect location (7 minutes to the central beach), as well as the area is quite and safe. Also, all the needed was easy to find in the apartment. All the stuff (what any guest may need) is thought about and provided. Besides, the host was very helpful and hospitable. Good location and clean, good communication with Gregory.